Project: Pointe Place, Dover, N.H. Problem: A durable flooring product was needed to withstand the rigors of multifamily living. 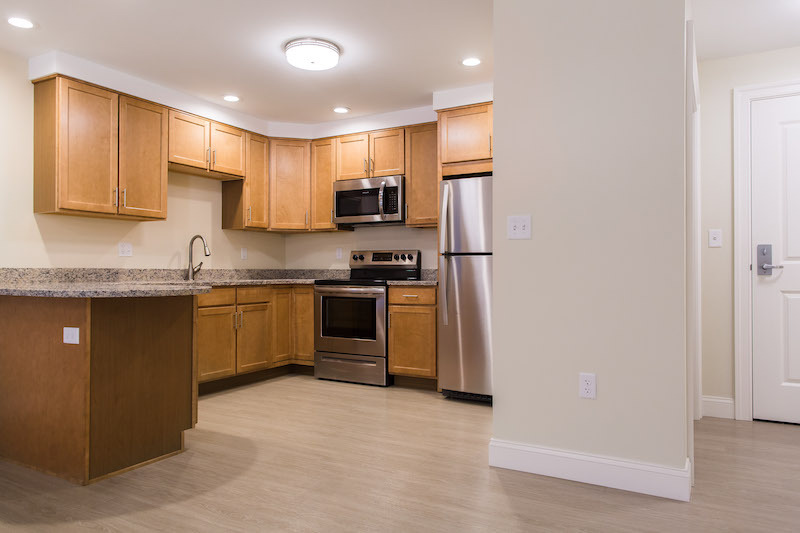 Solution: 50,000 sf of Parterre’s Winter Oak and Evening Oak wood-look vinyl flooring options were used in the kitchens, living areas, entry ways, closets, and laundry rooms of each unit. On the team: Summit Land Development (developer). Project: Veterans Community Project, Kansas City, Mo. 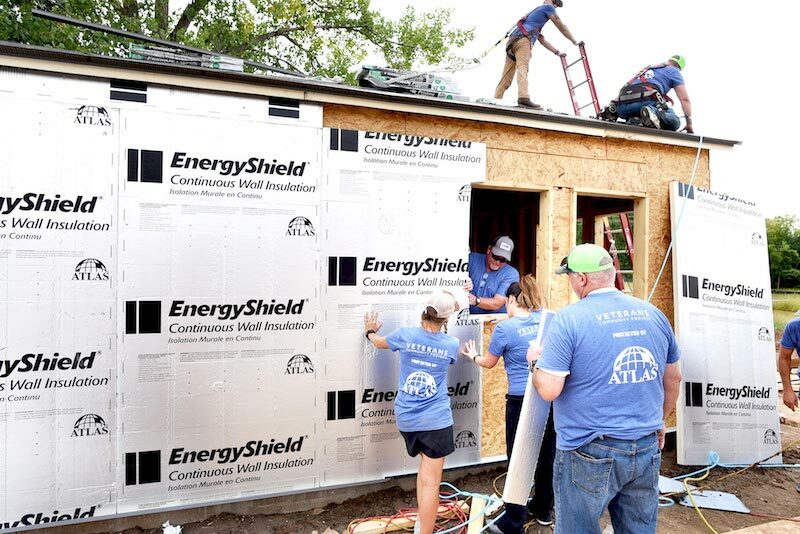 Problem: VCP, a community of tiny homes to help combat veteran homelessness, needed an affordable insulation and roofing approach that would ensure long-term cost-efficiency. Solution: Atlas Roofing donated Atlas EnergyShield, ACFoam CrossVent, Pinnacle Pristine with Scotchgard, and ThermalStar X-Grade to the project. The products helped VCP tiny homes achieve thermal performance of the building envelope to save money and increase energy efficiency. On the team: AG3 Architects (architect). Project: Rowayton Elementary School, Norwalk, Conn. Problem: The school’s new full-time cafeteria needed an acoustic solution that could double as a key design element. Solution: Custom-cut acoustic panels from Kirei were incorporated into the cafeteria’s nautical theme. 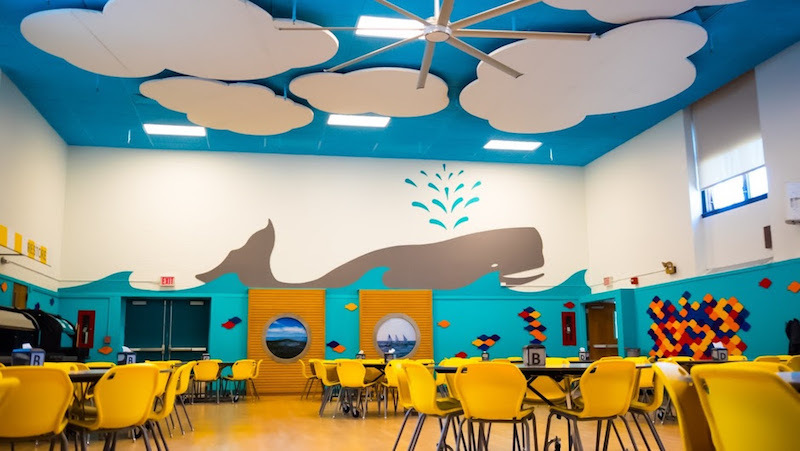 A whale made from seven individual pieces of EchoPanel, acoustic clouds, and custom-cut pieces (also made from EchoPanel) meant to mimic waves embrace the new cafeteria’s design while improving the cafeteria’s acoustics. The acoustic whale is about 40 feet long and 11 feet tall. On the team: Antinozzi Associates (architect). 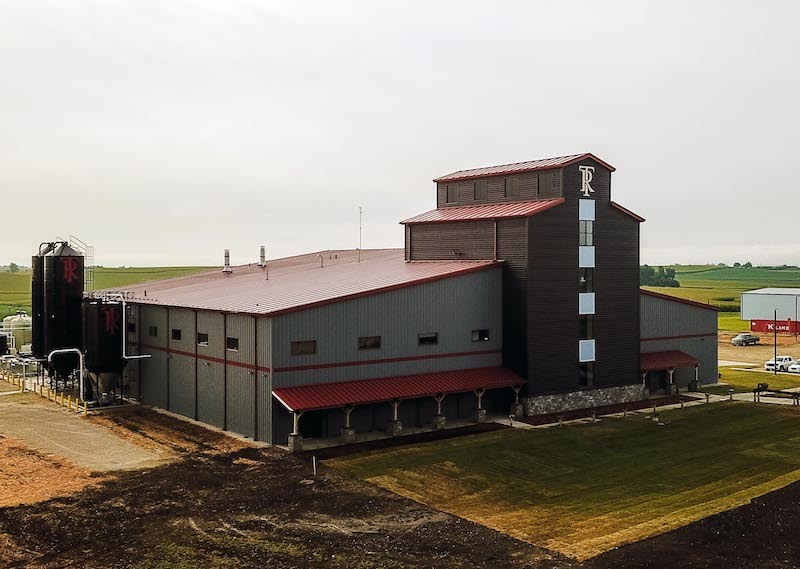 Project: Templeton Rye Distillery, Templeton, Iowa. Problem: A new Templeton distillery was needed to meet high demand. Solution: Multiple metal building systems were used to create the design of a tall central tower section that houses the distillation equipment with the lower rooflines spreading around it. The central section is made up of two metal building systems, a tall one with a smaller one on top of it to create the point of the tower. The walls were then closed with Metl-Span insulated metal panels provided by Star. On the team: Simonson & Associates Architects (architect), Iron Steel Co. (wall and roof panel installation), Edge Commercial (GC). Project: Terminal F, Philadelphia International Airport. Problem: One of airport’s busiest terminals underwent a massive modernization to accommodate increased traffic. Solution: J.E. Berkowitz fabricated more than 7,000 sf of glass for the project. 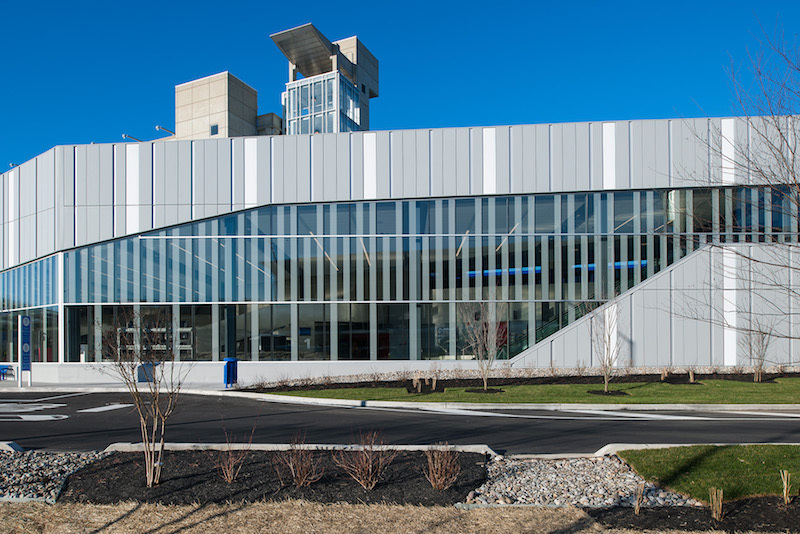 This included 141 Winduo insulating glass units in 125 shapes and sizes for the new baggage claim building, and an Invisiwall point-supported glass canopy spanning the building’s outside pick-up zone. JEB also fabricated an Invisiwall point-supported glass wall with 2,400 sf of Fusion laminated glass. On the team: The Sheward Partnership (architect). Project: Ocean5, Middleton, Wis. 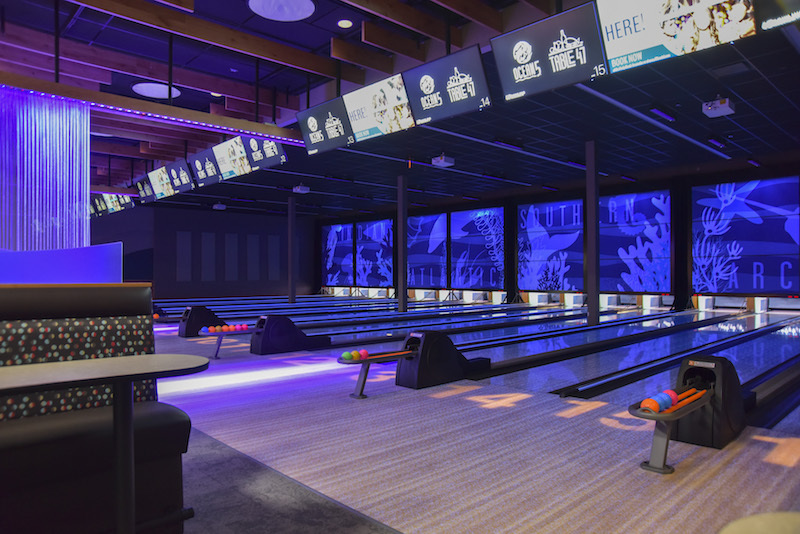 Problem: The multipurpose facility’s bowling alley required lighting controls that would simplify the complex lighting display. Solution: ETC’s Paradigm, Echo, and Mosaic controls were installed. Mosaic runs shows on LEDs that light mesh paneling behind each lane and DMX-controlled fixtures within the pinsetters. The shows are triggered by inputs on the Paradigm Touchscreens. Echo daylight and occupancy sensors are used to adjust lights to the appropriate levels.